Colds can be caused by hundreds of different types of viruses. About half of all colds are caused by rhinoviruses. On average, adults have two to five colds per year and school-age children can have up to eight colds per year. Adults who are in contact with children usually have more colds. This is because children usually carry more of the virus and for longer. If your child has a stuffy nose, this can make it hard for him to breathe and sleep. Symptoms usually begin on the first or second day of infection and last about a week. Sometimes the symptoms can last up to two weeks. a respiratory infection or pneumonia: this is more frequent if you are older, smoke or have a disease that affects your immune system. In young children, the most common complication of a cold is infection in the middle ear. In very young children and babies can lead to a respiratory infection, pneumonia or croup. You can catch a cold by having close personal contact with someone who is infected with the virus. The cold virus spreads through the tiny droplets that people expel when they cough or sneeze. You can also catch a cold through direct contact with a person who has a cold, for example, by shaking hands or touching something that has recently touched. The cold virus passes into your hands and then, when you touch your nose or mouth, you can spread the virus to yourself. Most people can diagnose the cold themselves or their children, without the need to consult their GP. However, if you are worried because your symptoms are more serious or because it does not improve, see your GP. For most people, the cold will improve on its own within a week of onset of symptoms without any specific treatment. However, there are treatments that can help relieve symptoms and make you feel better. There is no cure for colds. Antibiotics, which treat infections caused by bacteria, do not work for cold viruses. There are several self-help measures that may help relieve the symptoms of a cold. Drink enough fluids to avoid dehydration. Inhalations of steam with menthol and drops or nasal sprays with salt water can help. Menthol ointments can help relieve symptoms in children. Hot drinks (especially with lemon), hot soups and spicy foods can help relieve irritation and sore throat. Sucking candy or throat lozenges containing menthol or eucalyptus can soothe your throat. Gargling with water with salt can be used for sore throat. It is advisable that you try to rest enough if you have a cold. Normally it is not necessary to miss work or school. It is important that you control the dose of the different types of medications you are taking. When you are using more than one product, for example, tablets, capsules and a hot lemon drink containing the same active ingredient, such as paracetamol, it is easy to accidentally exceed the daily dose. Children can take acetaminophen or ibuprofen in liquid form. Ask your pharmacist about the appropriate painkillers for your child. If you have a stuffy nose or sinuses, decongestant tablets can help relieve symptoms. Nasal sprays can also relieve nasal congestion for a few hours, but if you use them for too long they can cause a rebound congestion. Children under the age of six should not be given decongestants and should not be taken if they are taking medications to lower blood pressure. Some people find it helpful to take cough medicine, although it is not likely to be effective in treating the symptoms of a common cold. Glycerin, honey and lemon can be used for children under the age of six. Always read the patient information leaflet that comes with the medication, and if you have questions, consult the pharmacist. There are several supplements and very popular complementary medicines for the prevention and treatment of the cold. They include vitamin C, menthol, zinc, garlic and echinacea. Menthol can be used to relieve nasal congestion by its cooling sensation. It can also help relieve symptoms of sore throat and cough because it contains a local anesthetic that numbs the area. There is not enough evidence to suggest that taking vitamin C, zinc or garlic candy or echinacea is probably effective in treating a cold. Complementary medications may interact with other medications, so you should always inform your doctor or pharmacist of all the medications you are taking. The viruses that cause colds are very common, so colds can be very difficult to prevent. 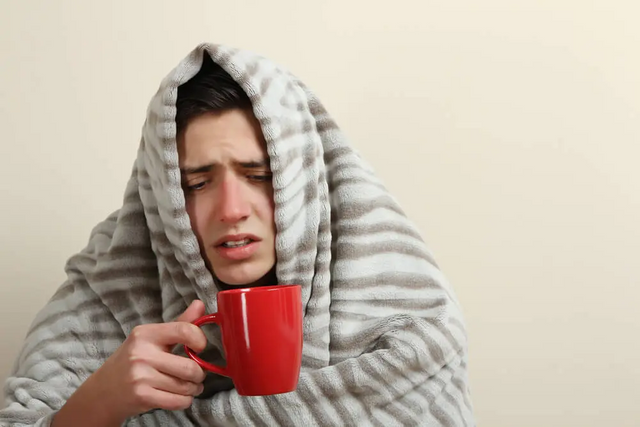 Cold viruses are often transmitted through direct contact, therefore, if someone has a cold you can avoid contagion by maintaining good hygiene. For example, do not share towels, wash your hands with hot water and soap, and clean surfaces such as doorknobs and toys that have been touched by the person with a cold.